Riviera Maya extends along the Caribbean coast in the state of Quintana Roo, from Puerto Morelos to the Sian Ka’an Biosphere Reserve. Once home to small fishing villages, Riviera Maya coastline has developed into a tourism corridor offering the very best of high-end luxury resorts, fine dining, nightlife, spa retreats, shopping and golf in Mexico. An ideal vacation destination, Riviera Maya is home to some of the most stunningly beautiful beaches in all of Mexico with expansive stretches of powdery white sand lapped by the clear turquoise waters of the Caribbean Sea. Spend the day at a luxury beach club where you can enjoy swimming, sunbathing, aquatic sports, spa services and a variety of modern amenities. You’ll find some of the best in the resort destination of Playa del Carmen, a friendly tourist town where you’ll also discover Riviera Maya’s best shopping, dining and nightlife. The Riviera Maya is one of the world’s top destinations for scuba diving and snorkeling. An expansive coral reef system extending just off the coast is home to an array of marine life including colorful tropical fish, manta rays, dolphins and whale sharks. 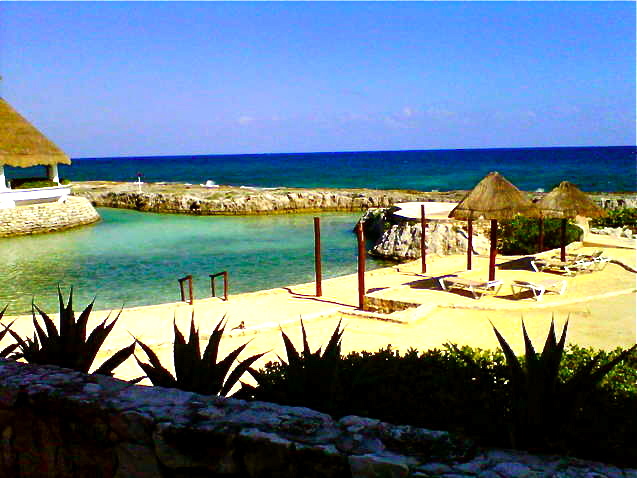 Scuba diving and snorkeling in Riviera Maya are not limited to the ocean. You can also go snorkeling and cave diving in the many cenotes (underground sink holes) that are unique to this Yucatan Peninsula. Riviera Maya is a top ecotourism destination in Mexico and throughout the region the natural environment is protected and preserved. Outside of the major tourist destinations, much of the land remains relatively undeveloped so the natural beauty of Riviera Maya and the creatures that inhabit it are left to flourish. Local eco-parks offer a taste of all that the area has to offer in controlled, family-friendly environments. Mexico is a country rich in history, culture and tradition, all of which you will experience when you visit Riviera Maya. Participate in a traditional temazcal (Mayan sweat lodge) ceremony at one of the many resorts and spas. Explore the magical underground world with a dip in an underground sink hole. Visit ancient Mayan ruins at Tulum, Coba and El Rey. Adventurous travelers should venture off the beaten path to visit traditional Maya villages where you will witness the traditions and culture of this fascinating region and sample the local cuisine. A few hours inland, the Mayan archaeological site of Chichen Itza are arguably the best restored and most impressive of the Yucatán Maya archaeological sites. Consider a day trip via ferry from Playa del Carmen to the island of Cozumel where you will enjoy world-class scuba diving, snorkeling and aquatic sports, or, simply spend the day relaxing on the beach.